A trek into Nanda Devi National Park encompasses culture, wildlife and 360-degree views of the Great Himalayan Range. I will never forget my first glimpse of Nanda Devi, one of the most strikingly beautiful mountains in the world. It was at the end of six days, battling the fickle weather of a late-in retreating monsoon: stranded on perpendicular rock faces amidst heavy fog, violent storms and lightning atop a high-altitude meadow, and clouds everywhere. Monsoon in the Himalayas is a magical, yet mildly frustrating experience—especially if you’re in one of the most storied regions of the great range, surrounded by mountains that are household names. And after almost a week’s frustration, I woke up one clear morning at the camp in the hanging valley of Dharansi and there she was, the great Nanda Devi, revealed at last. Most people know the mountain’s famous south face view as seen from hill stations like Ranikhet and Almora in the Kumaon Himalayas. The twin peaks of Nanda Devi and Nanda Devi East peer over the icy 21,700-foot-high southern ridge that cloaks the Nanda Devi Sanctuary, a vast area of about 380 square kilometres of glaciers and meadows. Another popular view is that from the Kuari Pass trek in the Garhwal Himalaya. From here, you see the west face of the mountain, a vast triangle dominating the horizon, aloof and above the surrounding galaxy of peaks. It’s the same view from Dharansi, except that seen from here, the west face looms like an enormous sail, with scuttling clouds at its summit adding to that illusion. The route into the sanctuary was unknown until 1934. It would be fair to say that not even the Bhotiya herders, who live along the Niti Valley of the Dhauli Ganga river, knew of a way in. This changed when legendary English mountaineers Eric Shipton and Bill Tilman found a way in through the fearful gorge of the Rishi Ganga river. Two years later a British-American team led by Tilman retraced the route and made the first ascent of the main peak, 7,816 metre high. At the time, it was one of the highest peaks ever scaled. Tilman’s ascent, and the end of World War II, brought about a massive increase in the number of expeditions to the sanctuary. 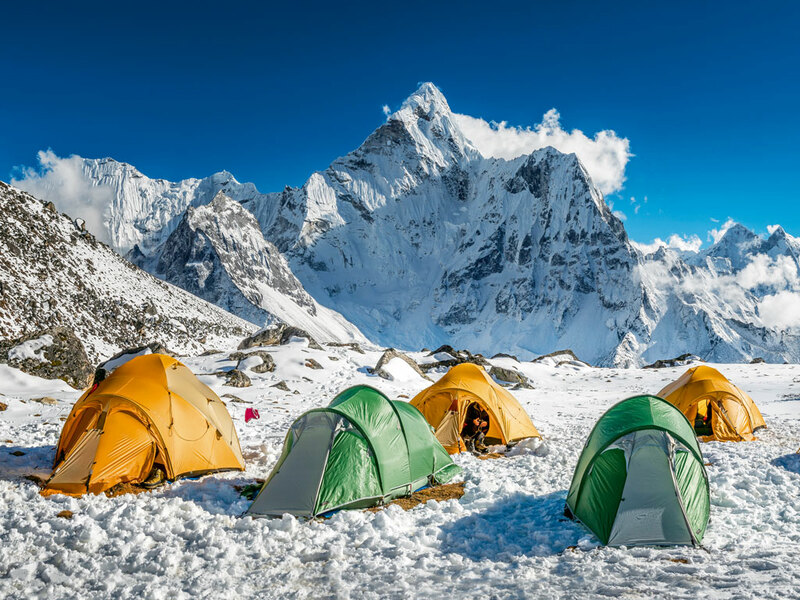 With over 25 peaks ranging between 6,000 metre and 7,500 metre, this was mountaineering paradise. However, this came with great risks to the environment. By the early 1980s the inner sanctuary and the approach trail was overgrazed by expedition pack animals. Garbage and other expedition detritus had piled up. Himalayan species in this ecologically sensitive region such as the bharal (Himalayan blue sheep) and musk deer had been almost hunted out of existence. On top of all this, a botched 1965 Indo-US spying mission to place a nuclear-fuelled device atop Nanda Devi had resulted in the nuclear device getting lost in the sanctuary’s glaciers. Many such factors contributed to the inner sanctuary being declared off limits to human activity in 1983. The National Park was established in 1985, widening the protected area to encompass some 630.33 square kilometres. It became a Unesco World Heritage Site in 1988. However, this had an adverse impact on the local Bhotiya people of the Niti Valley. The Bhotiyas are a tribal people spread across the high valleys of the Western Himalaya bordering Tibet. Of mixed Tibetan stock themselves, the Bhotiyas had been running a lucrative cross-border trade with Tibet for millennia. This came to an abrupt halt due to the 1962 Sino-Indian War, forcing them to rely entirely on transhumance. This was further threatened by the creation of the National Park and the loss of traditional grazing grounds. As a result of an intense, decades-long agitation for livelihood rights, the people of Bhotiya villages like Lata and Tolma on the Dhauli Ganga river formulated the Nanda Devi Declaration for sustainable livelihoods. The government gave into their demands and opened up certain trails into the national park for trekking. 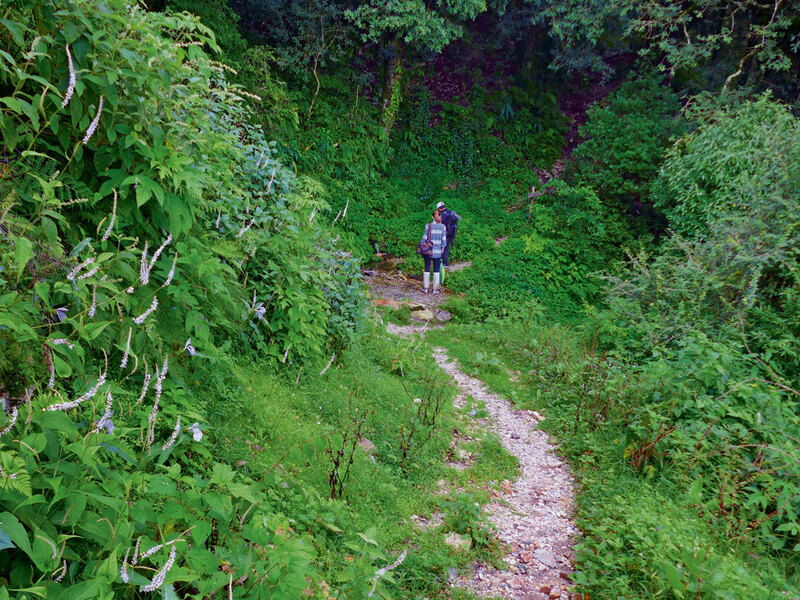 The villagers then formed the Mountain Shepherds Initiative to oversee these trails, train young villagers in guiding and start a homestay programme in the area. To the Bhotiyas, Nanda Devi is their all-sustaining goddess, and frankly there’s nobody better to trek with than them. Two trails lead up from Lata and Tolma villages through deodar, rhododendron and pine forests to the alpine ridge of Lata Kharak at about 3,500 metres. From here, a high and steep trail leads to the 4,190-metre Dharansi Pass and a hairy traverse of the Satkula cliffs to the hanging valley of Dharansi. Camp here for a full day, and if your permit allows, cross the Malathuni Pass and head down to the gorgeous alp of Dibrughati. Beyond Dibrughati lies the Rishi Ganga river and the off-limits inner sanctuary. 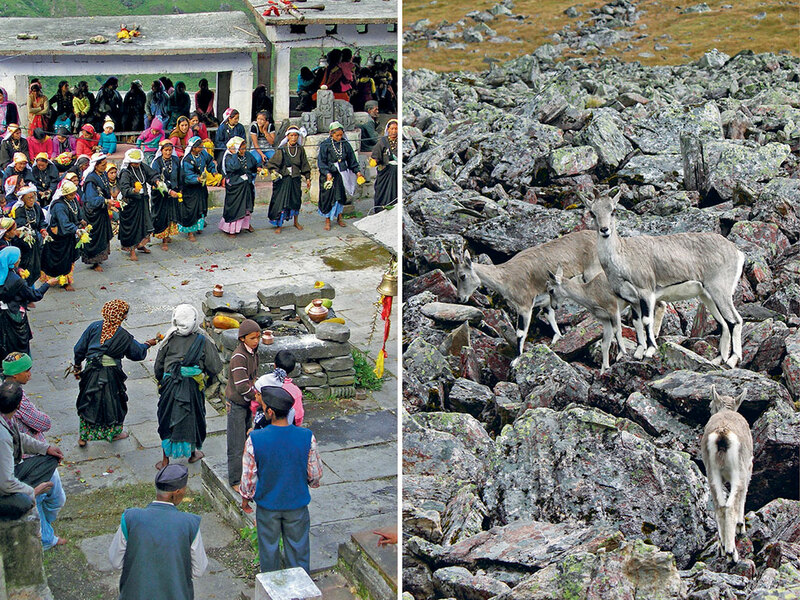 Dharansi is the perfect spot for peak viewing. To the south rise Bethartoli Himal, Trisul and Ronti. To the east, Nanda Devi, Devistan, Hanuman and Dunagiri. Far to the northwest are the Chaukhamba massif and the Kedarnath range. Few Himalayan views match the one from Dharansi. While many agencies offer this trek, Mountain Shepherds (mountainshepherds.com) is your best bet because it’s locally run. 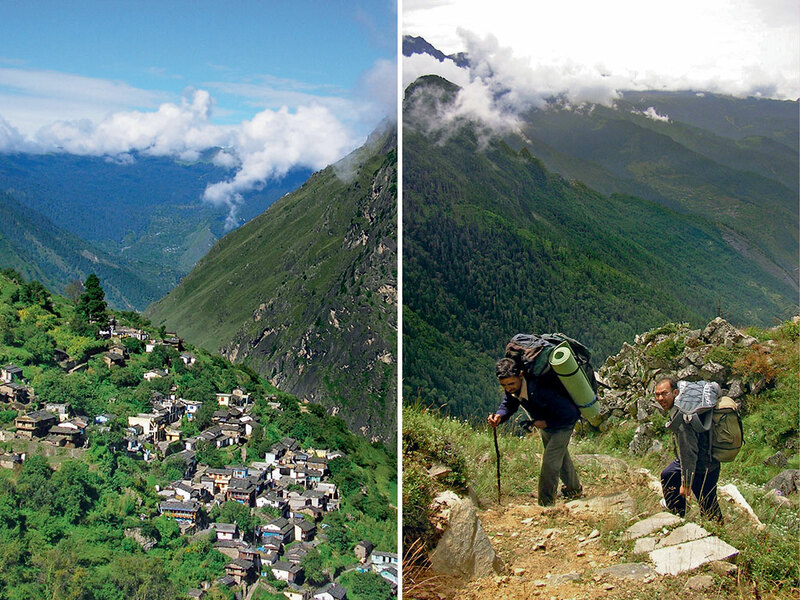 Trekking with locals deepens your knowledge of the people, mountain lore and culture. Plus, it arranges permits. Contact Sunil Kainthola at 97193 16777 or bhotiya@gmail.com. It takes about seven days to do the trek. You can do it in a more leisurely fashion too. Stay is in camps and at homestays of Lata and Tolma villages. Bibek Bhattacharya lives in Delhi with his cats and is a writer and editor at Mint Lounge. 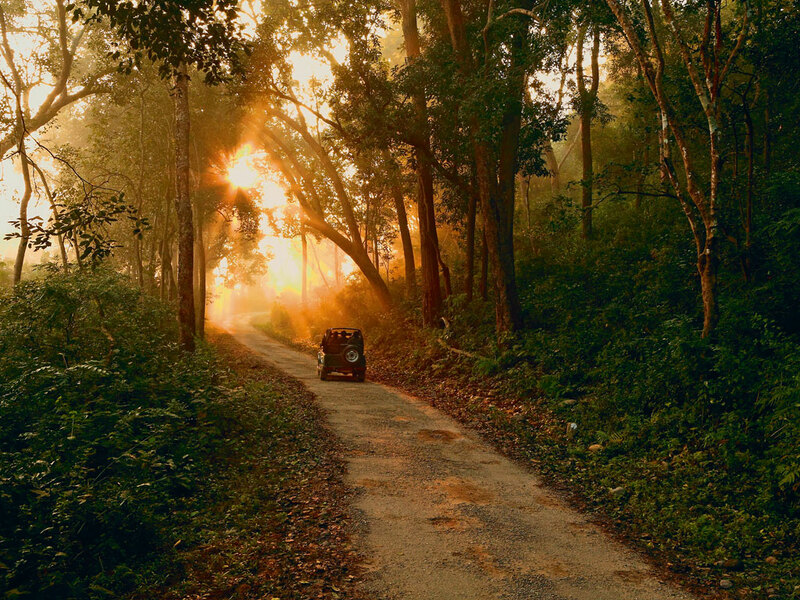 He's currently working on a travelogue set in eastern India.